Set Networking Goals. If you’re anything like me, the thought of a room full of strangers who might talk to you is terrifying. Seriously anxiety inducing. However, I discovered if I set little goals for myself it gets a lot easier. Don’t feel like you have to talk to the full room, but just 4 people (or 2…). That’s way more doable. Everyone Has Doubts. I noticed a common trend listening to the speakers all day. No one just sails through life. Even the bloggers who appear to have it all figured out and under control struggled to get there. Felt insecure, had breakdowns. No ones journey is perfect or easy. I think that’s an important thing to remember – all of us need a cheerleader or a helping hand from time to time, and that’s ok.
Be Persistent. Piggy backing off point 2 – don’t give up. Sticking with it might be the most important part of success. If you love what you’re doing keep doing it. Perfection is the Enemy. I struggle with this. I want things (ie – blog posts) to be 100% perfect and wonderful before I’m happy with the results, and if I can’t get to perfect I don’t hit publish. I can’t tell you how many half done posts I have as drafts. Or that I never start because of some irrational fear of being wrong. You have to start to get anywhere!! OK – so! Those are my lessons, which I am going to try very hard to take to heart. It’s that time of year again – the time when we all start promising to make changes, to grow and improve (oh wait, I already did that…)! And even though it is a cliche, there’s something nice about making big plans and dreaming up new goals and schemes. I already got off to a little bit of a head start with my new plans for the blog, but I thought it might be nice to think about a few other goals too. 1. Do more crafts: I’ve always loved arts and crafts. As a kid I was constantly working on some sort of DIY project. This past year I started getting back into it a little (having a Michael’s Craft Store open up only a few blocks away certainly helped) and it’s a trend a want to continue in 2015. 3. Stick to an exercise program: OK – this one is a super cliché. But I have to say it. I NEED to do it. I’m not talking anything ground breaking either – I don’t want to run a marathon. My goal is to just be regular about it – I’d be happy with doing yoga twice a week. 4. Make more plans: So – with all the crafting and journaling and yoga I want to be doing this year – I’m not really sure when I’ll have time for more plans, but I want to try! And, yes “plans” is very broad – that’s on purpose – could be as simple as happy hour with a friend (or maybe, yoga with a friend!!) OR it could be bigger – like weekend getaways! 5. Blog: Blog, blog, blog, blog, blog. I want to blog enough this year that I can have a “2015 Recap” post this time next year. I want to collaborate and network more – so I’m not just living in my own little blog bubble. I want to stick to my plan. And I want to be proud of my work and excited to share it. That’s big issue for me – I’ll put together a post, but then I won’t share it anywhere because I’m scared of what people will think. Big goal for 2015 is to get over that anxiety!! So that’s my list for 2015! Are you the resolution making type? What do you want to accomplish this year? I don’t really know anything about fashion. And lately, I feel like I know very little about style either. For the past 5 years I’ve been a “Fashion Blogger,” and with that title I always feel an obligation to be a fashion expert. I feel like I should always be stylish, fashionable and perfectly dressed. Recently, I’ve been handicapped by that feeling. I never feel inspired to do posts, because I worry that I’ll say the wrong thing and look silly. And, beyond just the blog – I rarely feel good about what I’m wearing. My dresser is stuffed with items I never wear – either because I don’t like them anymore, I don’t have the right things to wear them with, or they don’t fit. I end up wearing the same thing over and over, and just going with what’s comfortable – not what’s “fashionable.” And it makes me feel like a horrible failure of a fashion blogger. So, I’m making a change. It’s a two-part adjustment – one part blog life, and one part real life. On the real life side of things, I want to do some serious closet rehab. I want to purge the things that I don’t like or wear, and rebuild a wardrobe that works for me (and makes me happy)! On the blog side, I want to explore what that new wardrobe should be. I want to shift from being a fashion blog to being a style blog. I want it to be an exploration of style, and a journey to discover what personal style really is. I don’t want to be an expert voice. I want to be a learner and an observer. SO, what changes might you, dear reader, notice? 1. More Personal Stories – I want to share the steps I take on my adventure to discover my personal style (with posts about cleaning my closet and refining my wardrobe). And, my current Real Life Style posts will change a bit as well – I want to make them more about things I love wearing, not just perfect outfits carefully chosen for a blog photo shoot. I want to be open and honest – especially when I have no idea what I’m talking about. 2. 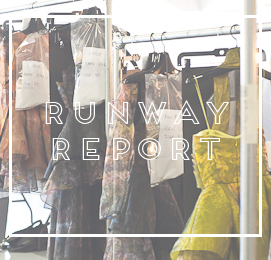 A New Perspective – I want to infuse a personal style element into every post I do. 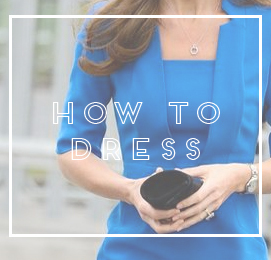 So, for example, a celebrity get the look post would focus less on where to buy the items the star is wearing, and more on what it says about her fashion habits. 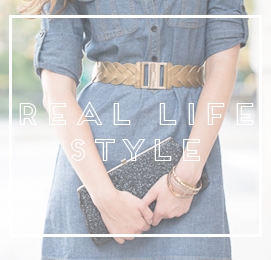 A post about a trend will look at how to incorporate trends into an overall style, etc. Thanks for sticking with me. Hope you’re excited for this new adventure. I know I am (well, excited and scared)!